Girl got Electrocuted / Burned using earphones with iphone and FAULTY CHARGER! 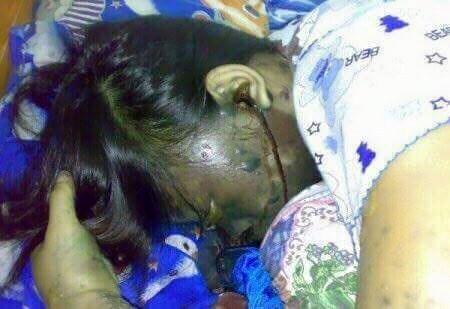 A young filipina girl recharges her iPhone 6 while her earphone was connected to her both ears and fell asleep. As she was sleeping, the phone overheated, burnt and the electric power went through the earphone and she got electrocuted and died on her sleep. This happened at 11 pm , June 10, 2015. Authorities have found that the charger used was substandard which bypassed the conversion of high voltage current into low voltage current. Authorities have also appealed to not buy non-genuine chargers as they do not meet the safety standards! Similar incidents have been reported from various parts of the world involving a cheap faulty charger. Another Story is of a mother-of-two, who was been killed when she was apparently electrocuted by a faulty $4.99 charger, has spoken out about his heartbreak. The woman who died in her North Gosford home at 4pm on April 23 has been identified as Sheryl Aldeguer, 28, a nurse who moved to Australia from the Philippines for work. 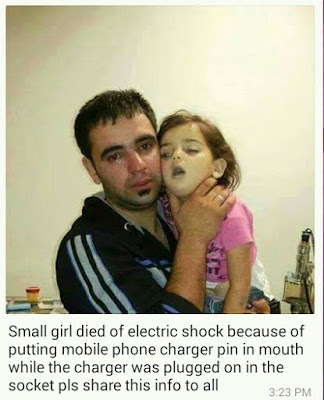 It is believed she was talking on her phone while it was plugged into the charger. Luigi Aldeguer told his wife was speaking to a friend who was in Dubai when the incident happened. Authorities have issued a warning to consumers about knock-off USB-style chargers and are investigating distributors of the USB chargers after the woman's death. There are many variants of this anecdote, after careful investigation, best sources of books and newspapers point to the following story. In the other variants of a similar story the king is believed to be the Maharaja of Patiala (Bhupinder Singh), Nizam of Hyderabad, Jai Singh Prabhakar or the Maharaja of Bharatpur. All the pictures related to this story circulating on the internet are fake as no photos of those cars were ever made. One day, Maharaja of Alwar was walking in casual Indian dress in Bond Street, London. He saw a Rolls Royce showroom and went inside to inquire about the price and features of their cars. and told him he is wasting his time. After this insult, Maharaja came back to his Hotel room and asked his manager to call the showroom that Maharaja of Alwar is interested in purchasing few Rolls Royce Cars. After few hours Maharaja reached the Rolls Royce showroom again but with his full astonishing royal manner and in his royal costume. This time he was welcomed warmly and all the salesmen were bent with respect. Maharaja purchased all the seven cars that they had at showroom at that time and paid full amount with delivery costs. 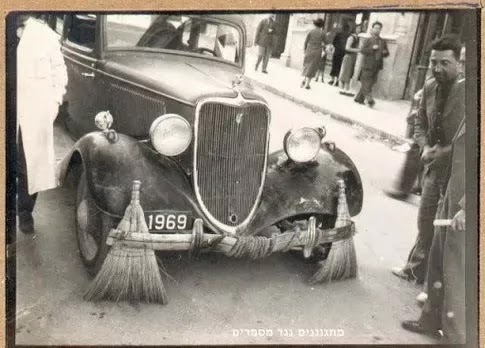 After reaching India, Maharaja ordered municipal department to use all those seven Rolls Royce cars for cleaning and transporting city’s waste. World’s number one Rolls Royce cars were being used for transportation of City’s waste, the news spread all over the world rapidly and the reputation of Rolls Royce Company was in drains. Due to such reputation damages, they sent a Telegram to the Maharaja for apologies and requested to stop transportation of waste in Rolls Royce cars. Not only this but they also offered repair and other services free of cost. Maharaja finally acceded and stopped using them for municipal department. 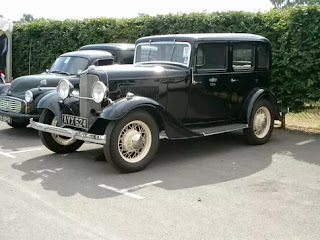 The photo of car on the left which is used in most stories on the internet is not even a Rolls Royce. Also the brooms shown in the photo were commonly used at that time to protect the tires from any shrapnel or other sharp objects on streets. The car used in the photo and also in one video to back the story is actually a Ford model of 1930s as shown in the 2nd photo on the left. The cars that were used in garbage disposal is claimed to be currently standing in vintage car museum of Udaipur. Another story: It is about Maharaja of Bharatpur. He always bought three automobiles at the same time. Once Rolls-Royce company denied him mechanics to fix faults in his old cars. Like the Maharaja of Patila he issued a threat to convert his cars into garbage carriers. The car-maker promptly sent a group of mechanics to Bharatpur to sort out the faults. Antibiotic treatment: an alternative to appendicectomy/Appendectomy surgeries for acute appendicitis! Every year millions of people with appendicitis are rushed into emergency surgery---this is about to change! Most think that if the appendix is not immediately removed, it will burst — with potentially fatal consequences. Now some doctors say there may be another option: antibiotics. Five small studies from Europe, involving a total of 1,000 patients, indicate that antibiotics can cure some patients with appendicitis(Click here for the research article); about 70 percent of those who took the pills did not require surgery (appendicectomy). Of these patients, even those who later had to go for surgery had no increased complications. 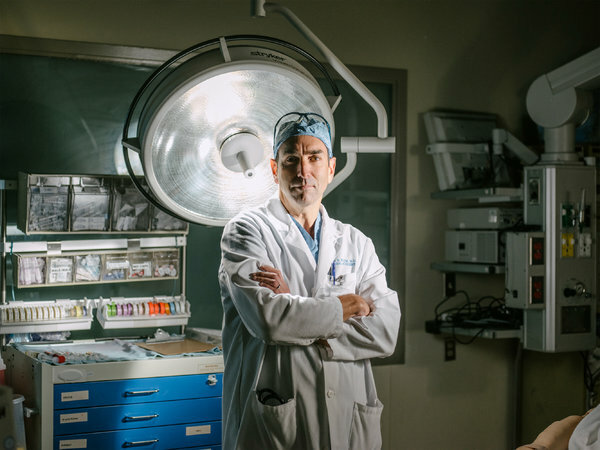 Dr. David Flum and others want to compare the results of antibiotics and surgery. By suggesting an antibiotic alternative, the researchers are bucking longstanding medical tradition. Surgical treatment for appendicitis began in the 1880s, when surgery itself was new. Doctors struggled to figure out which patients to operate on, because the procedure was dangerous and they knew some patients would get better without it. As surgery and anesthesia improved, however, the appendectomy became the treatment of choice. It made sense; for years, doctors thought the appendix — a tiny worm-shaped tube that hangs off the right side of the colon — became inflamed because it was blocked by a small piece of hardened feces. As it turns out, though, the vast majority of people with appendicitis do not have such a blockage. “No one knows what causes appendicitis,” said Dr. James Barone, a retired chairman of surgery at Stamford Hospital in Connecticut and Lincoln Hospital in the Bronx. An inflamed appendix is not a ticking time bomb, as people like to believe. While perforation occurs in 15 percent to 25 percent of patients, researchers hypothesize that those who get perforations may have a predisposing immune response or infection with certain kinds of bacteria. 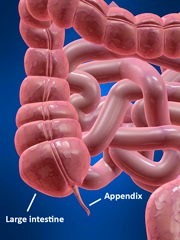 In others, appendicitis goes away on its own. 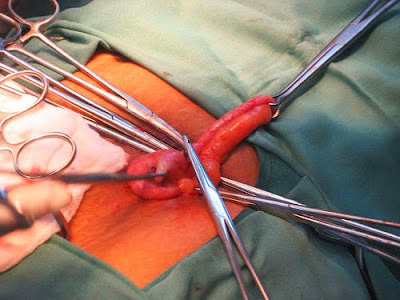 Interestingly enough even the time that an appendix is inflamed is not necessarily linked to the risk of perforation. Most people with a ruptured appendix already have it when they show up in the emergency room. Surprisingly enough, this is not even the first time they are being considered as possible alternative to an appendectomy. When antibiotics became available in the 1940s, doctors in England began giving them to patients with appendicitis and reported excellent results. During the Cold War, when American sailors spent six months or more on nuclear submarines prohibited from surfacing, those who developed appendicitis were given antibiotics. “Those submariners did great, and no deaths or complications were reported,” Dr. Flum said. But that did not put a dint in the perception that surgery was the treatment of choice. 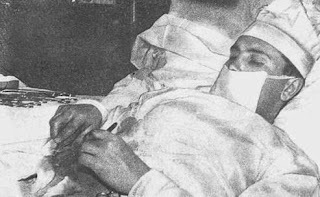 In 1961 a Russian doctor stationed in Antarctica, Leonid Rogozov, went so far as to cut out his own appendix when it became inflamed. There is already a debate in the medical field over whether to tell patients about the antibiotic option, and if so, which patients to tell. Richard Redelfs, a 40-year-old man (in washington), woke up with abdominal pain a few years ago. An emergency room doctor told him that he needed immediate surgery for appendicitis. But Mr. Redelfs was uninsured, and he told the surgeon that he had read online that antibiotics might be a viable alternative. “Once he found out I didn’t have insurance, it was easy to talk him into prescribing me antibiotics,” Mr. Redelfs said. He was told that he had appendicitis again, he opted for surgery. “I wanted the peace of mind,” he said. How much our genes or environment takes part in our development has been calculated by a meta analysis of 5 decades of twin studies. In a study published recently, an international team of researchers shows an almost 50-50 split in the influence of genes or the environment on the development of various human traits. The finding, published in Nature Genetics, is based on a review of 2748 studies involving 14 million twin pairs from across 39 countries. The twins involved in the various studies ranged in age from 18 to 64 years. "there was some controversy and differences in terms of how much of the variation [in traits] is due to genetics and how much is due to environment,"
He says the team, including Dutch and American researchers, looked at all published twin studies to answer this puzzle. Benyamin says while identical twins are genetically the same, non-identical twins share 50 per cent of their DNA. The researchers were able to determine the contribution of genetics and the environment on the trait by measuring how similar various traits are between identical twins and non-identical twins. "If the trait is genetic then you would expect identical twins will be more similar than the non-identical twin. 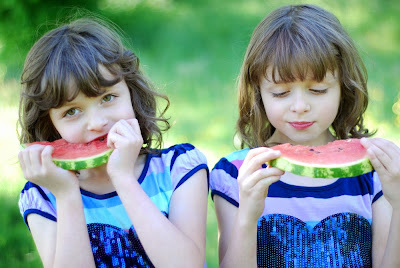 The more similar an identical twin to a non-identical twin then we can infer the trait is largely due to the genetic factor," says Benyamin. For all traits, the average genetic influence was 49 per cent while the environment accounted for 51 per cent. "We were amazed the number was so close to half," admits Benyamin. However, he says, this is an average figure and some traits are more or less influenced by genes. *schizophrenia is 70 per cent the result of genetic influences and 30 per cent environmental. *social values are shaped by around 30 per cent genetics, and 70 per cent socio-economic factors. The researchers also found almost 70 per cent of the effect of genes on a trait is additive. This means that where hundreds of genes are involved in a trait, such as height, each gene has a tiny cumulative impact. "So for example in height one gene might add one centimetre, the next gene a half a centimetre," Benyamin says. 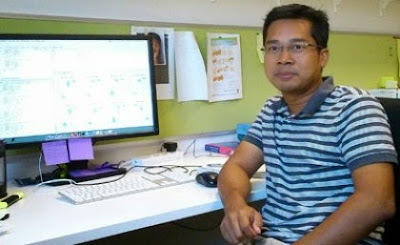 This finding has implications on the design of gene mapping studies, says Benyamin, as it enables researchers to adopt the correct modelling. "We comprehensively reviewed everything in the literature of twin studies — and we found everything is inherited, but the degree to how much the genetics contributed varies between traits and phenotype." Since the birth of psychology, the psychologists have been fighting over the share of nature or nurture in the development, as illustrated below showing different psychological models and their viewpoint. 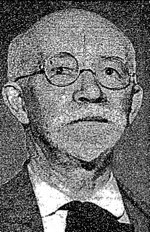 Evan O'Neill Kane was a surgeon in Pennsylvania. 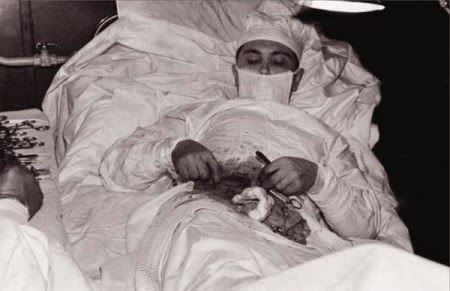 He is the first person in the known history to have ever undertaken a self-operation and not just one; he did 3 operations on himself at different times of his life (btw this is no longer a recommended way to get famous). First one was a minor finger amputation in 1919. 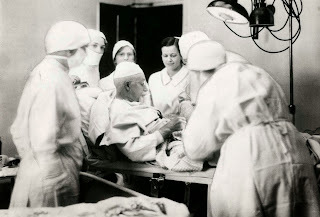 The most famous of his operation is that of appendectomy in 1921 which he did on himself under local anesthesia because he wanted to undergo the procedure from a patient's perspective. 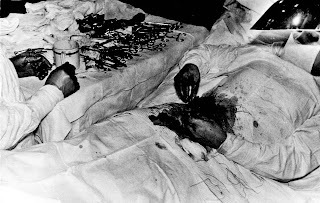 He performed the surgery with the help of mirrors using standard instruments of that time. This helped him to have better understanding of the perspective of patients who could not be given general anesthesia for this operation. He also performed another, and even more dangerous, surgery at age of 70 on himself, that of inguinal hernia repair but it didn't receive much media attention (well you never know, what these crazy media reporters are really after!!). He recovered from all his surgeries successfully. Leonid Rogozov is another name and the one whose accomplishment is even more remarkable than that of Evan O'Neill Kane because he not only performed the surgery himself but also thousands of kilometers away from any medical hospital or facility and with very limited instruments and resources. He was a soviet general practitioner and the only doctor stationed at the Novolazarevskaya Station in 1961. While there, he developed appendicitis. The nearest Soviet research station was more than 1,600 km from Novolazarevskaya and severe blizzard conditions prevented aircraft landing. After his condition kept on deteriorating he decided to perform the famous appendectomy on himself with the assistance of a driver and a meteorologist (that should be guiness world record for non-medical personal assisting surgery) Anyways the surgery was a success and he lived happily everafter. Not actually, life isn't a fairy tail, though he recovered completely but later died a natural death obviously! Telephone booth transformed into aquarium booths! Wanna call? Talk to fishes!! As public phones are outdated due to cellular phones so the japanese came up with an idea of utilizing them to decorate the streets. 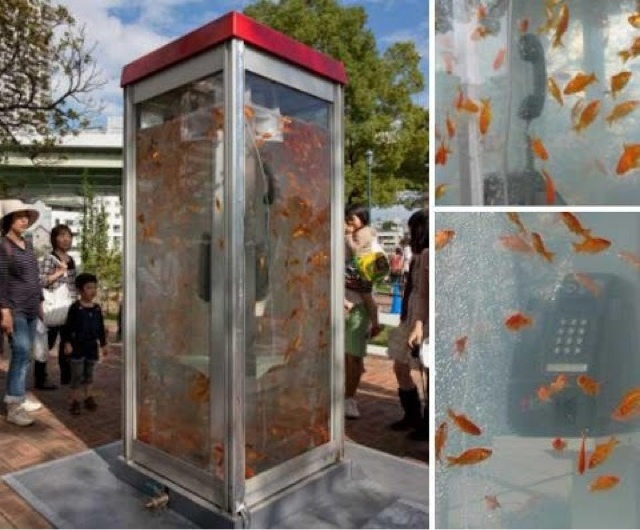 The phone booths were converted to Aquariums in Osaka, Japan. Can you imagine the amount of food required by all these booth aquariums? And do you think it's worth it? 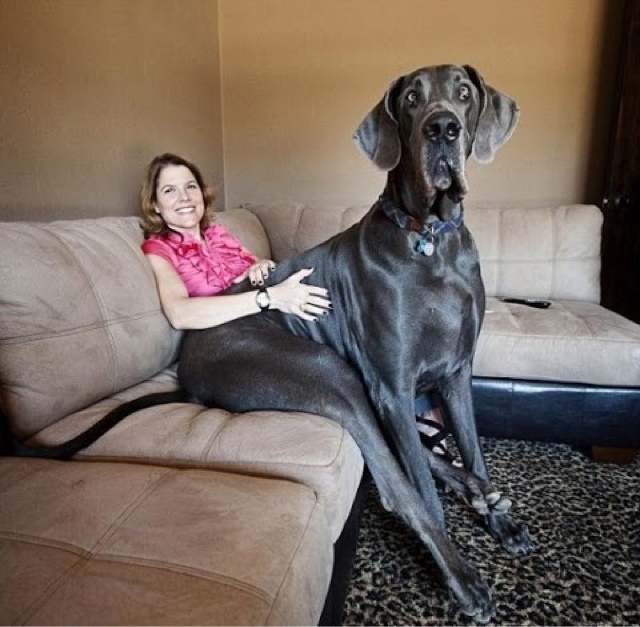 The tallest dog living is 'Giant George' a Great Dane, who measured 1.092 m (43 in) tall on 15 February 2010 and is owned by David Nasser of Tucson, Arizona, USA.